Katelyn Tsai (on right), of Pocopson, is among nearly a dozen Chester County residents who will participate in Monday’s Presidential Inaugural Parade as part of the Chinese American Community Center Dance Troupe. HOCKESSIN, Del. 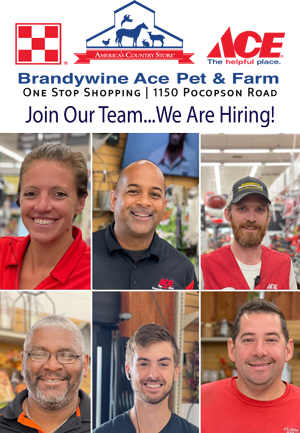 – When President Barack Obama takes his formal oath of office Monday, luminaries from throughout the world will be in attendance, but one group of young Chester County residents may be among the most excited to be there. The Chinese American Community Center (CACC) Folk Dance Troupe will be one of just about 100 groups from across America invited to join the 57th Presidential Inaugural Parade in Washington, D.C. Although the CACC is based in Newark, Del., a number of Chester County students are involved and will make the trip to the nation’s capital to march in Monday’s parade. Among those is Katelyn Tsai, a seventh grader at Patton Middle School from Pocopson. Tsai is not alone, joined by a number of students from the Kennett Consolidated School District and the Avon Grove Charter School — nearly a dozen area students are part of the dance troupe and virtually all were excited to make the trip to Washington, D.C. Interestingly, the troupe itself is the sort of blend that best represents America — largely, but not entirely Chinese-American. 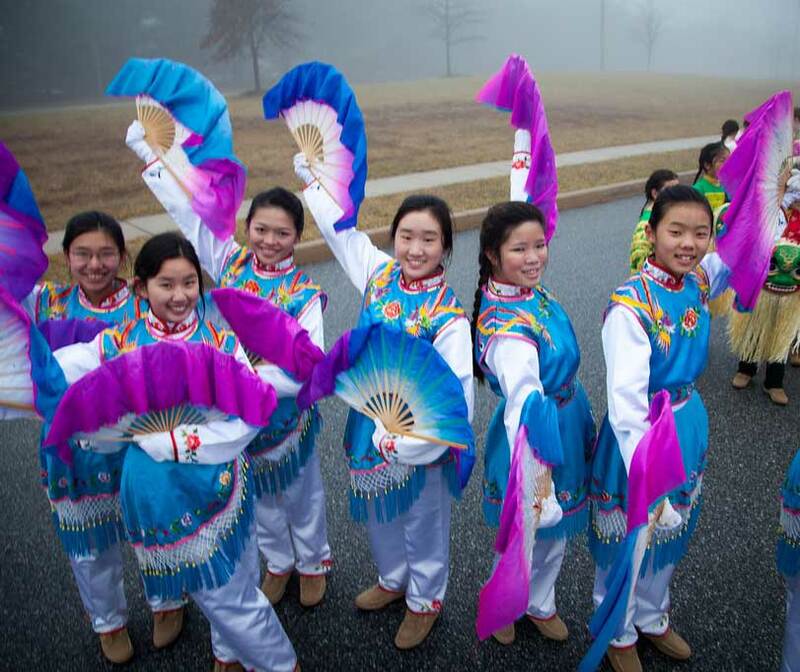 Aylissa Reed from Cochranville — and a student at Avon Grove Charter School — doesn’t share a Chinese heritage with her troupe-mates got involved because her adopted sisters are Chinese and initially wanted to learn more about their heritage and culture. Molly Meyfeles of New Garden, an eighth grader at Avon Grove Charter, said that her school mates share the troupe’s excitement. For some of the young dancers, attending the inaugural events is personal. An additional thrill: Jiang gets to share the experience with her younger sister, Rhea, a sixth grade student at Kennett Middle School. Two more sisters from the Kennett Consolidated School District, Charlotte and Annabelle Schmitt expressed excitement about celebrating their heritage — the sisters enjoy Chinese and German ancestry, but first and foremost identify as Americans. As a tenth grade student at Kennett Middle School, Annabelle said she too understood the significance of the inauguration and that it one of the events that binds all Americans together, while celebrating their Chinese cultural legacy. The dancers — who have performed throughout the region and even at the Macy’s Thanksgiving Day Parade — have worked since the late fall to perfect their routines to prepare for Monday. “Our dancers worked diligently in three full day workshops over the holidays to perfect their dance and marching routines for this prestigious event. This is a once in a lifetime opportunity for our children, and we are so proud of their dedication and hard work.” said Debbie French, Director of the Folk Dance Troupe. The Folk Dance Troupe was formed at the Chinese American Community Center in 1992 by a group of enthusiastic parents. These dedicated parents formed the dance troupe with the purpose of bringing Chinese dance and culture to young Chinese Americans growing up in the area, along with sharing the beauty and richness of the Chinese culture, arts and heritage with the general public. The repertoire of dances that this troupe has performed were taught and choreographed by ChinSui Lee Choi or Teacher Lee, and her daughter Stella of the Fairfax Virginia Chinese Dance Troupe established in 1988. The current troupe of dancers range in age from eight to high school students, and many are new to the troupe joining within the past few years. Also new to the troupe this past year is dance teacher and choreographer Ling Tang, an instructor at the China Institute and a teaching artist with the Washington Performing Arts Society. During the three-day workshop over the holiday break, Ling choreographed a special parade routine. She also will be dancing and marching with the troupe in the parade. The troupe will be dancing to a well-known Chinese folk tune, “The Dance of the Golden Snake.” This music was chosen because Chinese New Year is 20 days after the Inaugural Parade when Chinese people all around the world will be celebrating the Lunar New Year, which is The Year of the Snake. The dance routine features traditional ribbons, fans and little lions. Since olden times ribbon dancing is symbolic of joy and happiness. The girls dancing with beautiful silk fans convey the festive spirit of Chinese people during joyous occasions. The youngest members of the troupe are Little Lions dancing the lion dance which is a symbol of good omen. Monday’s parade will follow the traditional route down Pennsylvania Avenue from 4th Street past the White House. President Obama and Vice President Biden, along with their families, will watch the parade from the reviewing stand across from Lafayette Park. “Our young dancers are so excited to be in this parade. They cannot believe that they will be dancing for President Obama and Vice President (Joe) Biden and will be representing Vice President Biden’s home state of Delaware,” French said.